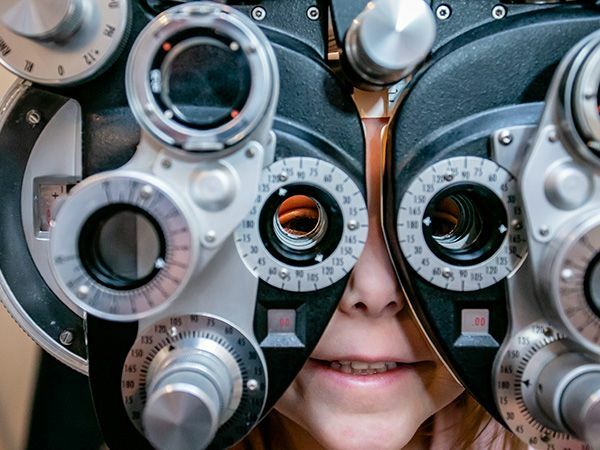 Linda received her Optician's License in 1984. Linda manages the business office. 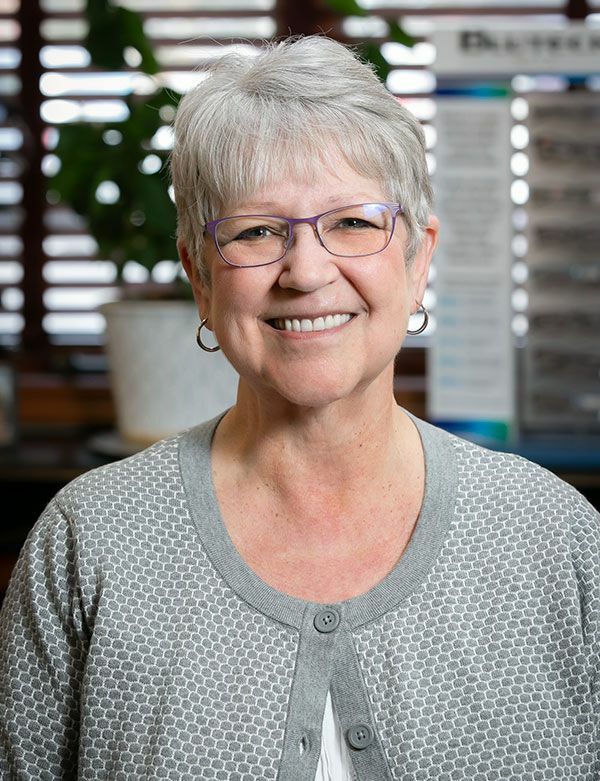 With her thirty plus years of optical experience, she handles any insurance questions you may have. 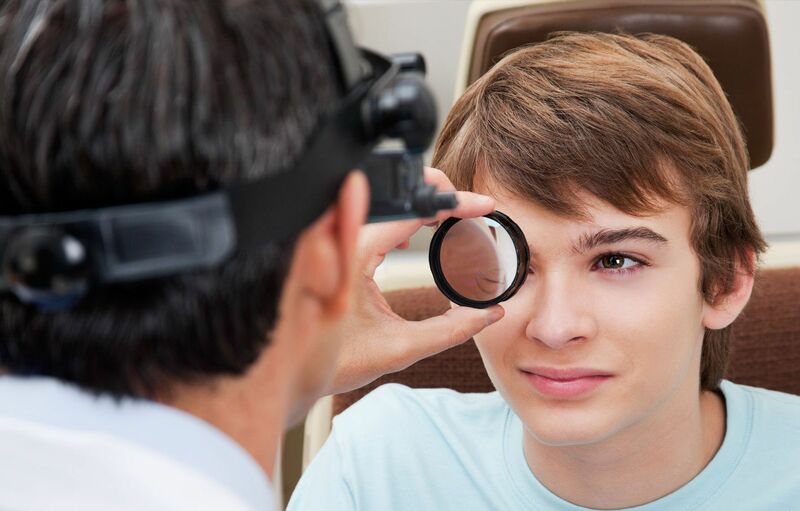 She also helps with frame selections, contact lens education, and diagnostic pretesting for patient exams. Linda is also available for frame adjustments and repairs. Kelly has been working in the optical field since 2000. 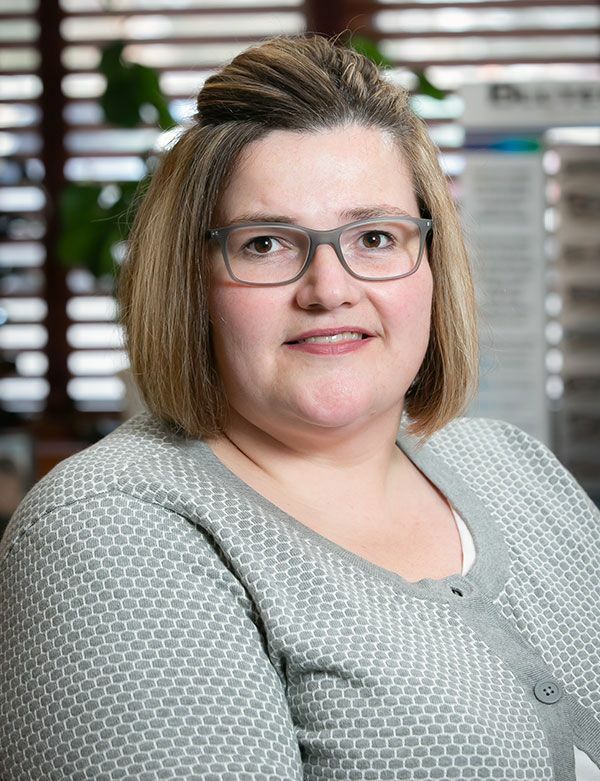 She became a Certified Paraoptometric Assistant in 2003 and completed her specialty contact lens training in 2007. 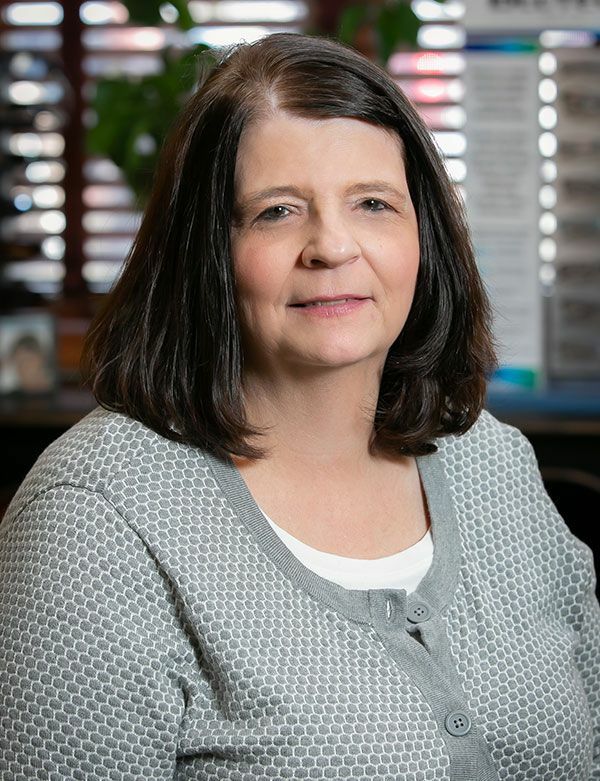 She manages the contact lens dispensary, orders contact lenses, teaches contact lens care and assists patients in diagnostic pretesting, and frame selections. Kelly is also available for frame adjustments and repairs. Amy received her Bachelor of Arts Degree from The Ohio State University in 2004. She has been in the optical field since 2000. She became a Certified Paraoptometric Assistant in 2007. She has five years of optical lab experience, edging lenses. 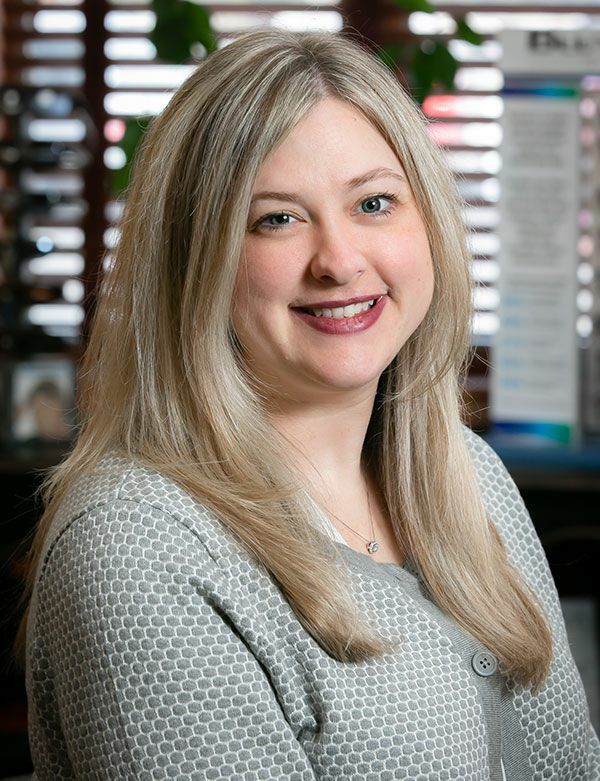 She manages the optical boutique, purchases frames, performs diagnostic pretesting, and handles public relations. Amy can always find the right style for you! Amy is also available for frame adjustments and repairs. Brenda has been in the optical field since 1990. 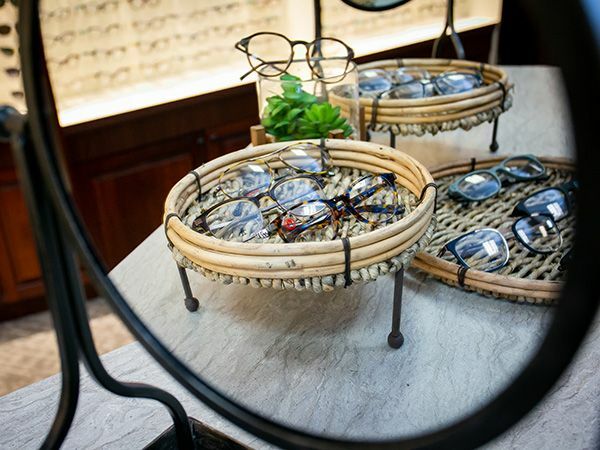 She is a licensed spectacle optician and is a certified paraoptometric assistant. She performs diagnostic pretesting, supplementary testing, and assists in dispensing and repairs. She is great at finding that fun and unique frame just for you! 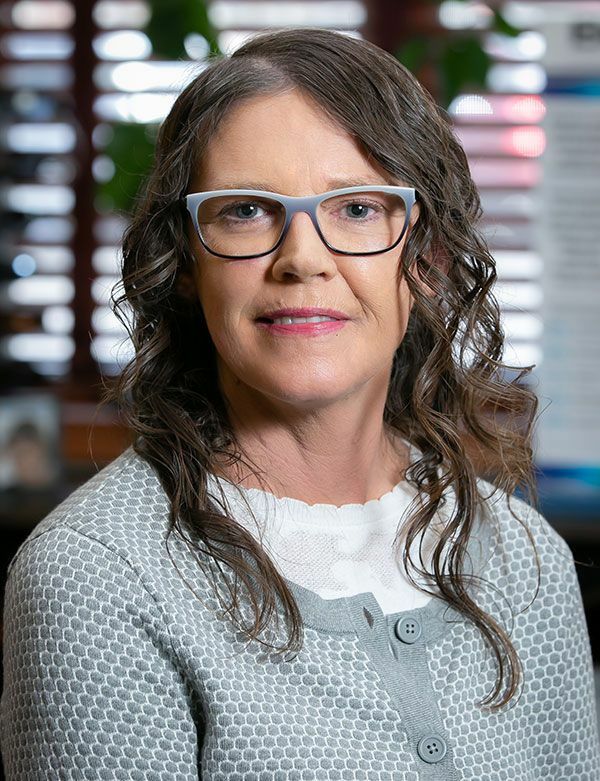 Jen received her Bachelor of Science Degree from Ball State University in 1999. She has been in the optical field since 2000. She has experience with low vision technology. She performs diagnostic pretesting, supplementary testing, and assists in dispensing and repairs.